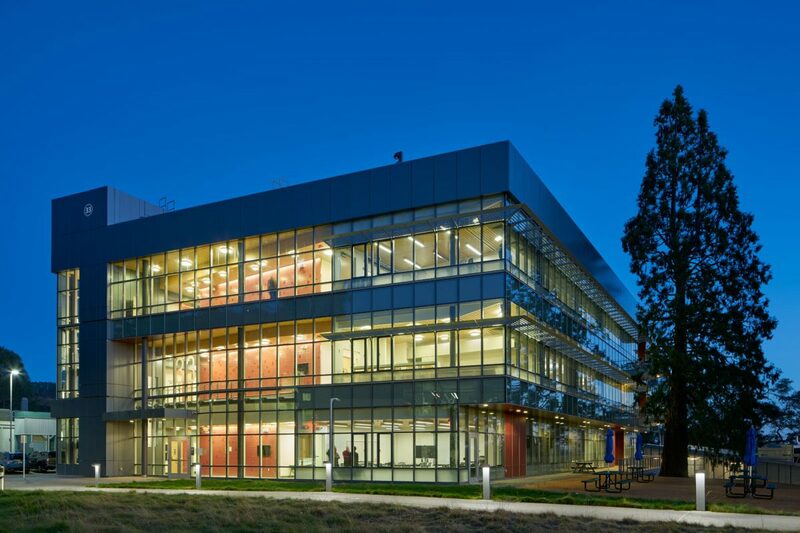 A building where multi-disciplinary science imagines the future. 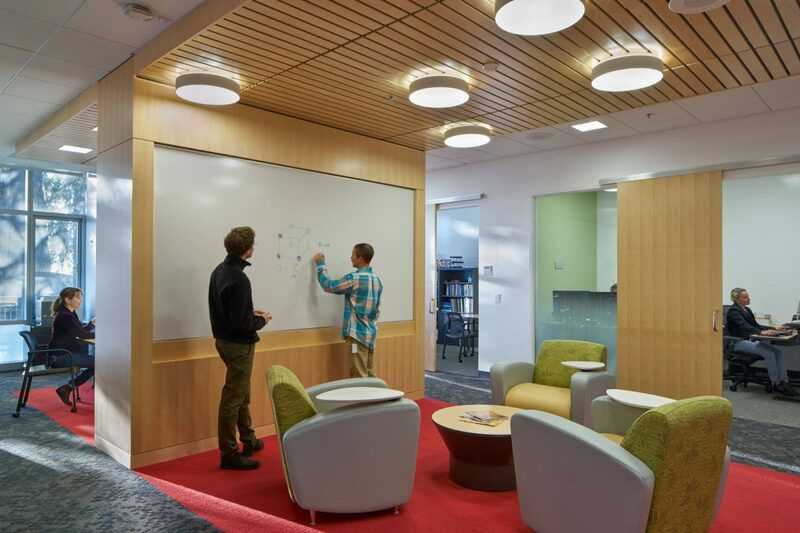 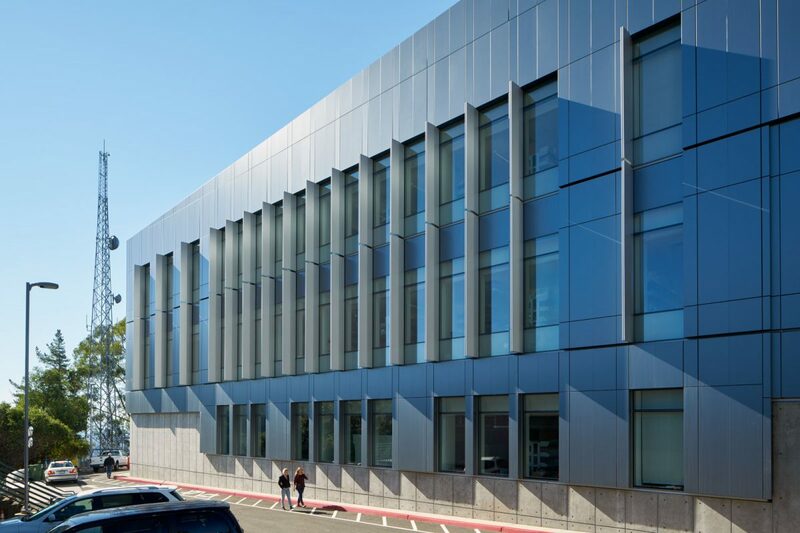 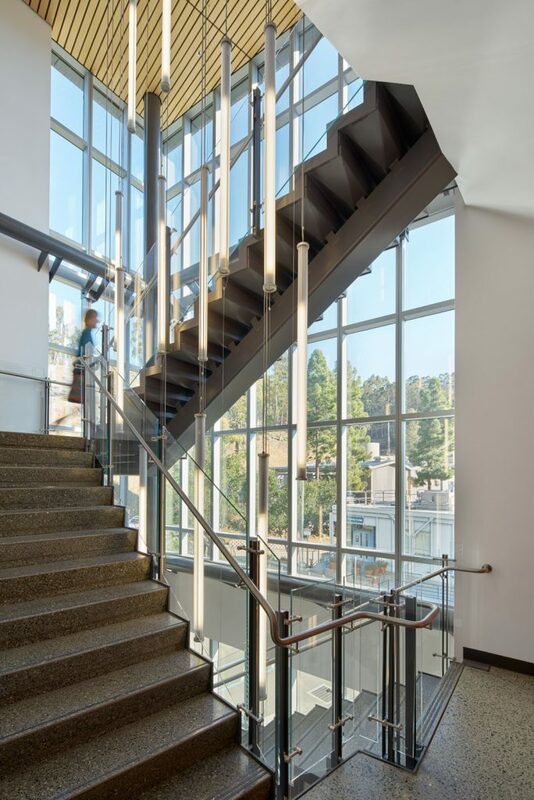 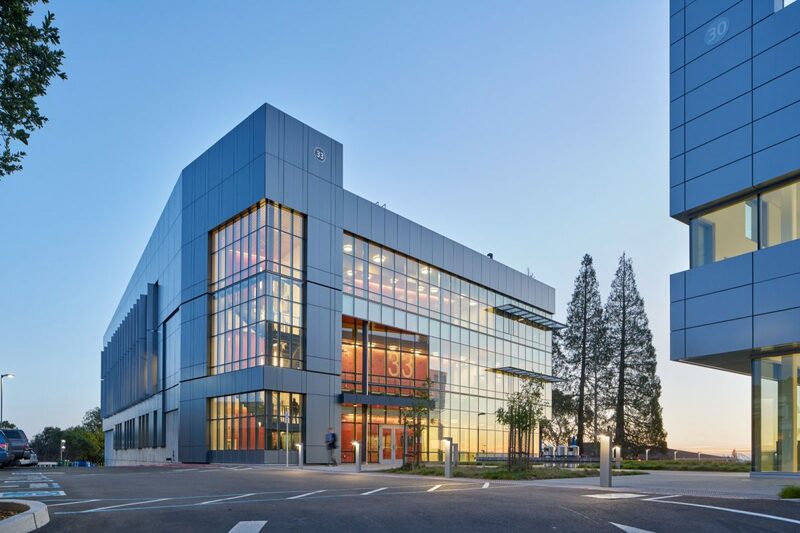 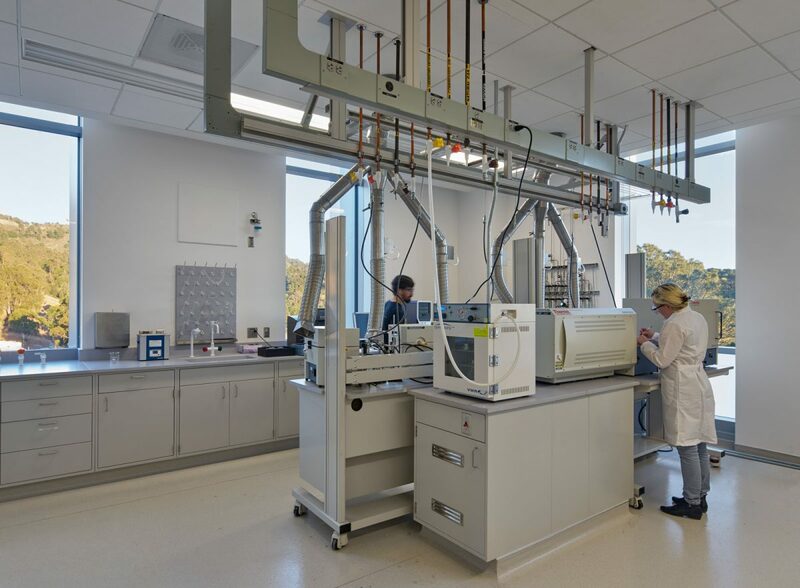 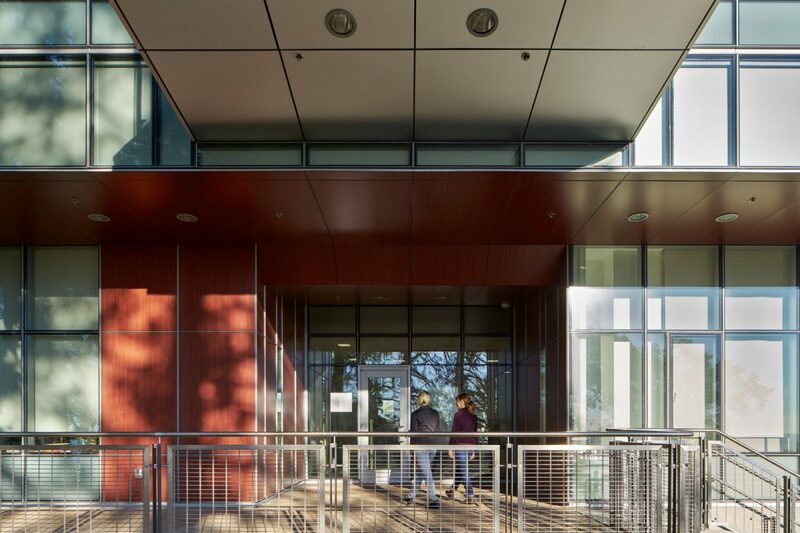 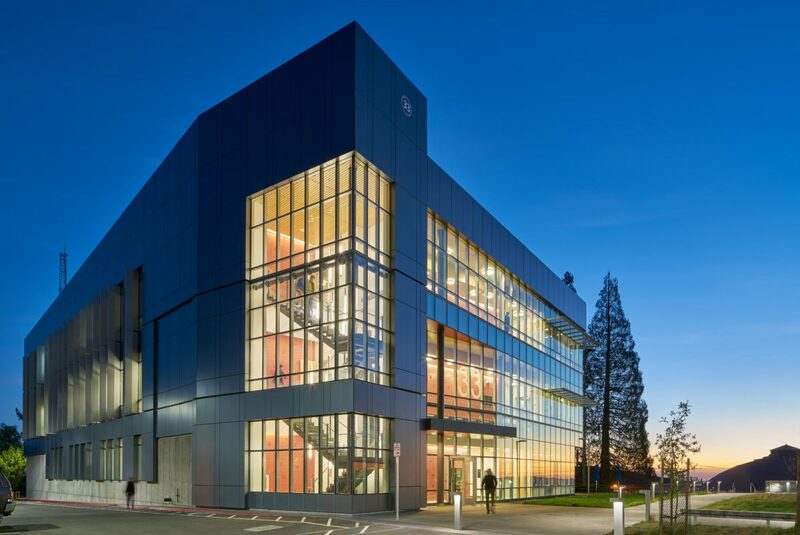 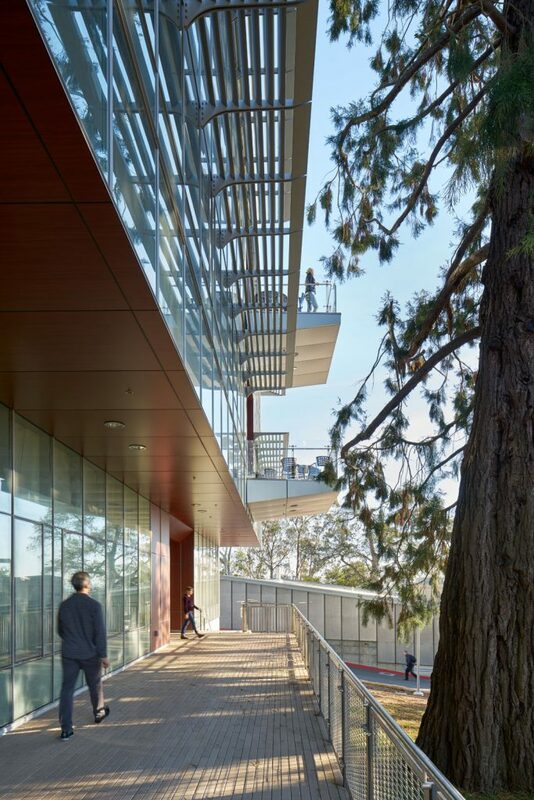 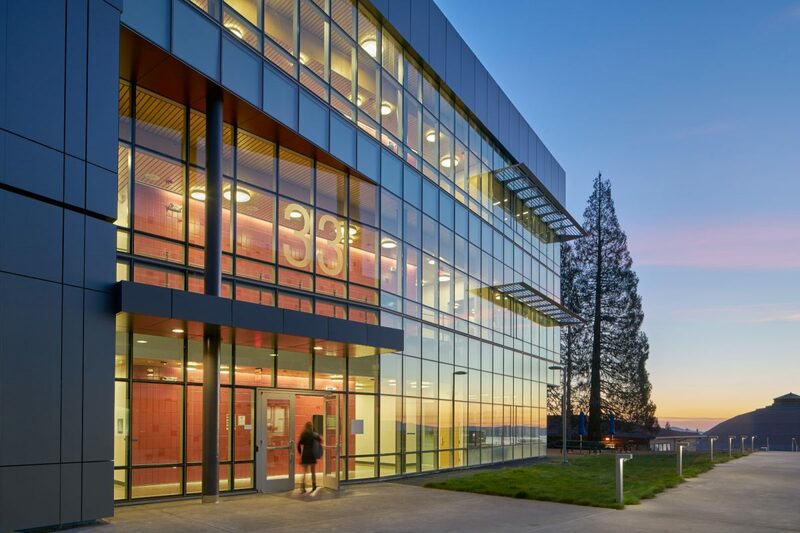 In today’s research environments, collaboration happens everywhere; the new General Purpose Laboratory on Lawrence Berkeley National Laboratory’s campus was designed with this paradigm in mind. 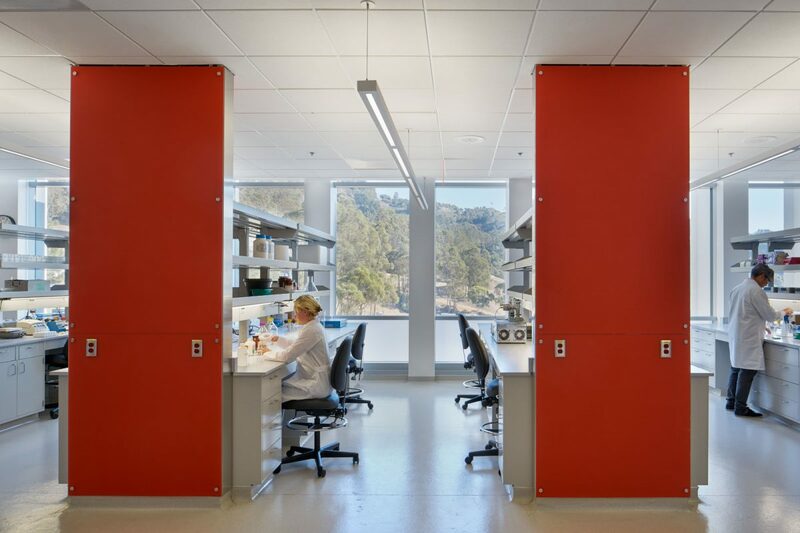 Created to facilitate interaction between diverse research groups, the laboratory houses easily customizable labs and research space for approximately 130 researchers. 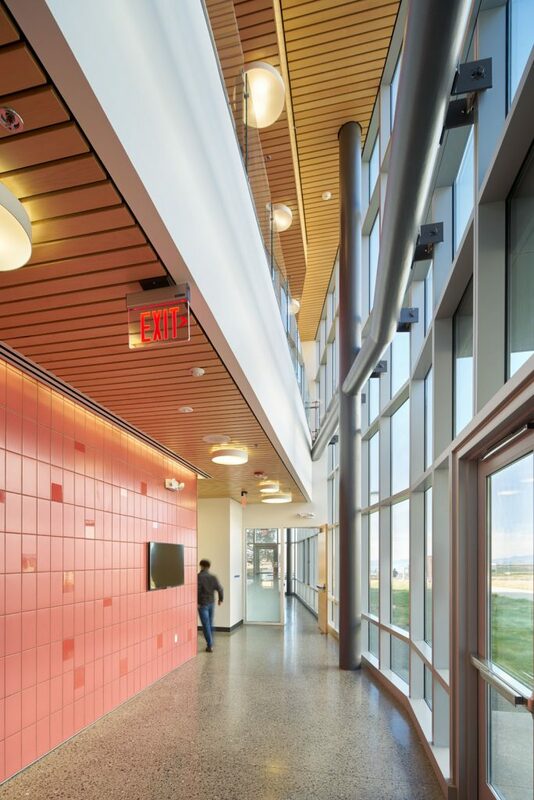 Offices and laboratories are located adjacent to one another on each of the three floors, encouraging a natural workflow and spontaneous interaction. 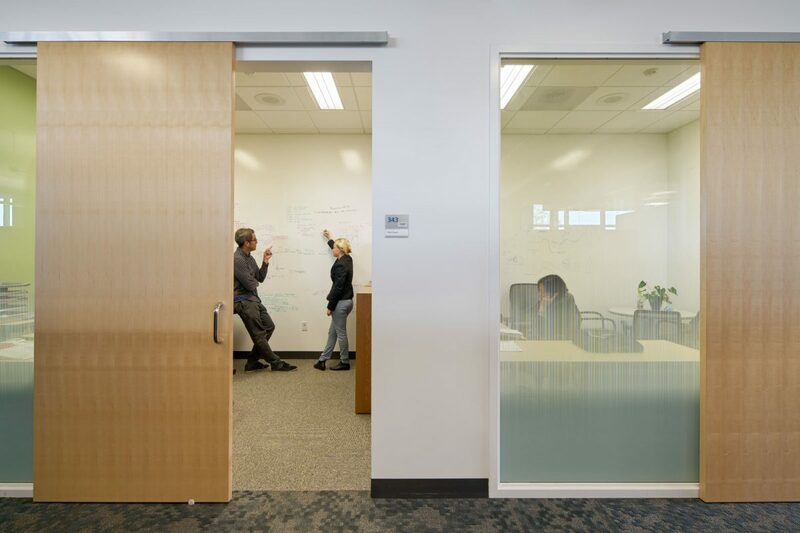 Open workstations allow for the penetration of natural daylight in column-free office areas. 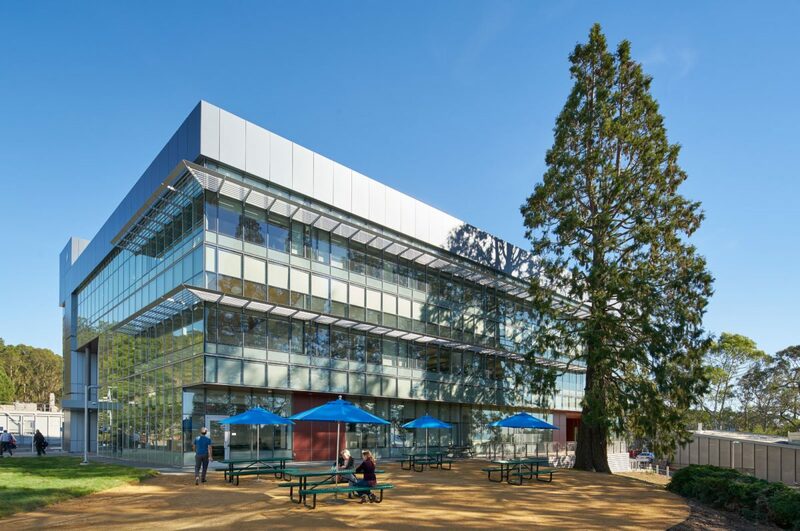 This feature, along with solar water heating, high R-value insulation, a cool roof, energy efficient lighting, and an interior light shelf combined with exterior fins, led to a LEED Gold certification for the building. 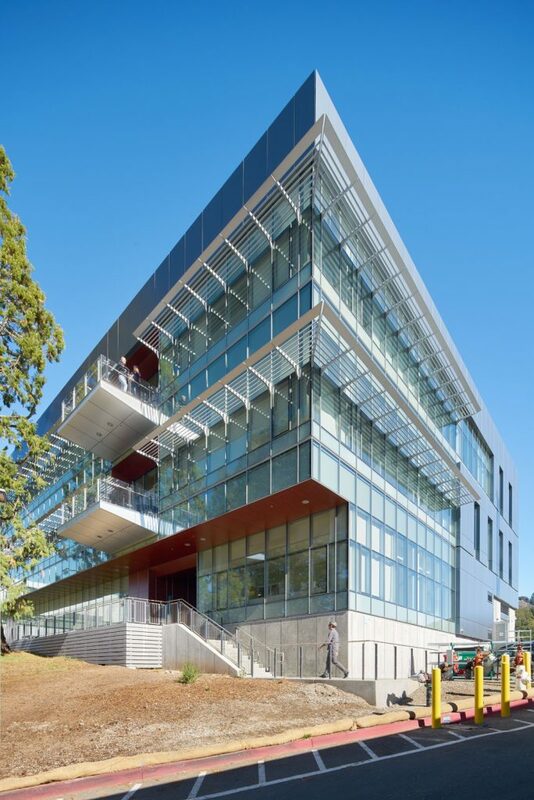 The GPL building uses 40% less energy than similarly sized buildings. 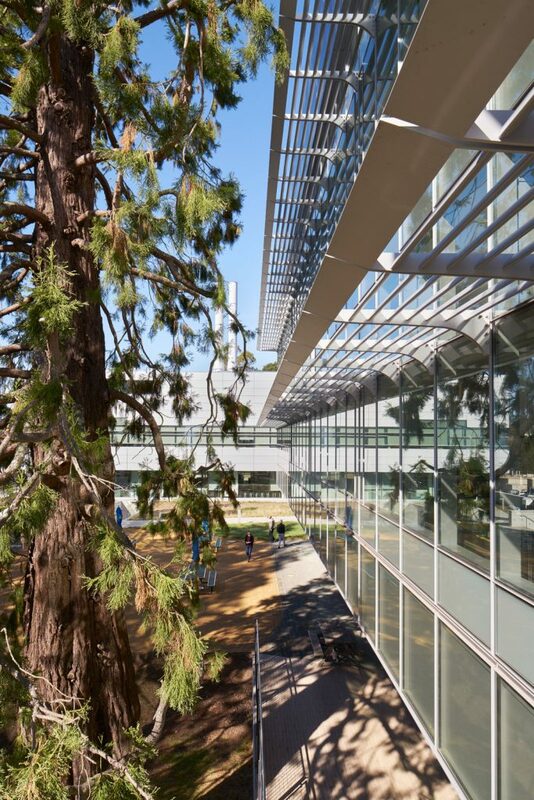 The building was sited to protect an existing grove of Giant Sequoia trees.